Vintage Swiss Army blanket is in perfect condition and has never been used! 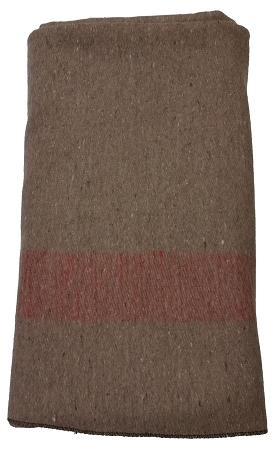 The blanket is made from 65% wool and 35% Synthetic/Undetermined fiber. This would be a great blanket to cuddle up with by the fire in a rustic cabin or hit the outdoors on your next expedition and stay warm on those cold nights deep in the woods!